I’m a sucker for black boys and flowers—the way they are both soft yet relentless. 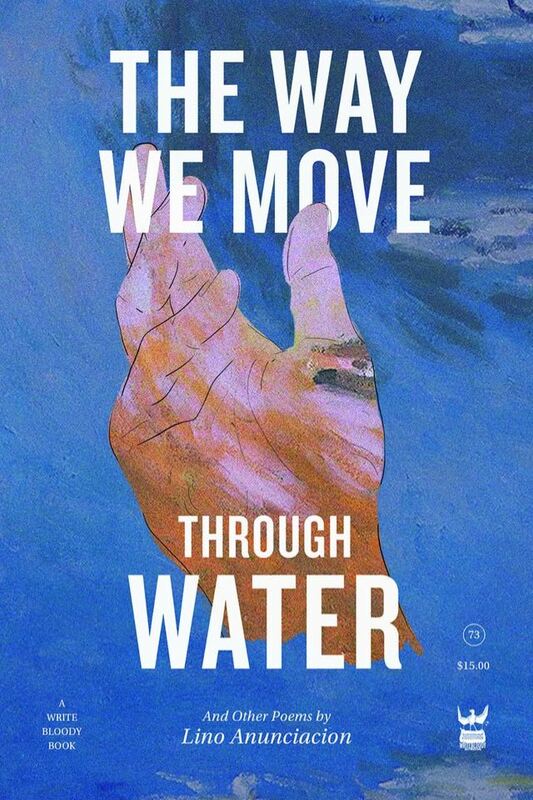 Lino Anunciacion’s debut collection, The Way We Move Through Water , is just that, a budding flower. In it, Anunciacion balances the violence inflicted on the black body with the interiority of that body. The collection’s epigraph is a quote by Hanif Abdurraqib—“I, like so many of you, am now looking to get my Joy back, after it ran away to a more deserving land than this.”—introducing us to our first desire, joy. Can a black person find joy in this life? Will the tree ever be just a tree to the black imagination? Will the splendor of God ever make up for this life? These were some of the questions I couldn’t help but ask myself when reading this collection. Anunciacion utilizes nature as a bridge to God’s attention and, sometimes, neglect. Either the black body is hung on a tree, drowned by a flood, or immortalized by a bouquet of flowers—the body returning from which it came (as Ecclesiastes 3:20). The first third of the collection is named Navy which orientates the black body in a history of violence and offers the idea that, perhaps, we do have to free ourselves of our earthly vessels to find real and lasting joy. Their voice is strong throughout and doesn’t hold back on the violence enacted upon the shared black body, while also establishing that the same abuse is committed upon nature all the time. How can we see ourselves free if we still subjugate the earth? In the next section, Violet, grief is explored through the relationship between POC and America, but, perhaps more provocatively, we’re introduced to the idea of survivor’s guilt. In ‘How Do You Grow up Older Than Someone Who Died’ the narrator is in a position to justify the life of a young poet who is questioning why they get to live while someone else doesn’t. The poet explores the conceit that to not push on is the only option, that the fate of the oppressed and oppressor are intertwined. At this point in the collection, my attention is drawn to the symbiotic relationship we have with nature. Is America doomed to repeat its destruction of POC in the same way it destroys the Earth? I’m wholly invested in navigating black pain, but believe to survive we also need to explore joy. Anunciacion, in my opinion, believes this as well and continues to wrestle with the idea of what joy is to them. How can I slow down and smell the roses if I also acknowledge that my kin died for the flower to live? The Way We Move Through Water is Anunciacion’s debut collection, and, if this is where they start, I can’t wait to see where they go.